PLEASE CALL soon for registration materials and directions. Classes are small and fill quickly. tentatively scheduled to begin May 8, 2019. These are the results of our last CGC test! 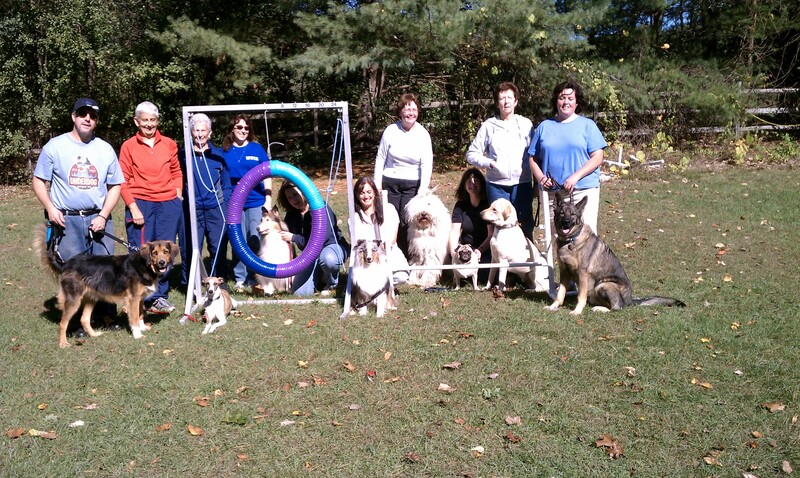 Many congratulations to all of the new CGC dogs! for the Worcester Animal Rescue League in honor of Responsible Dog Ownership Day. with our scheduled classes for that week. Great graduation mortar board, Bizkit!! 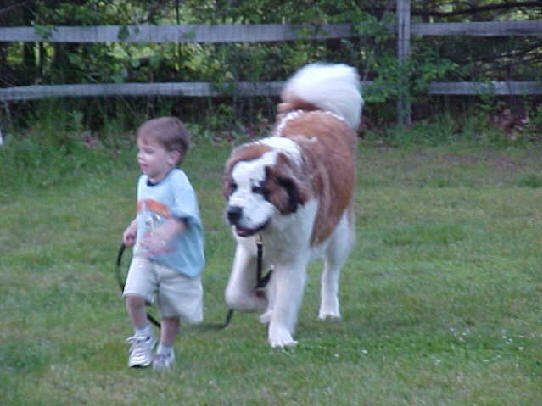 Brady taking his toddler for a walk! 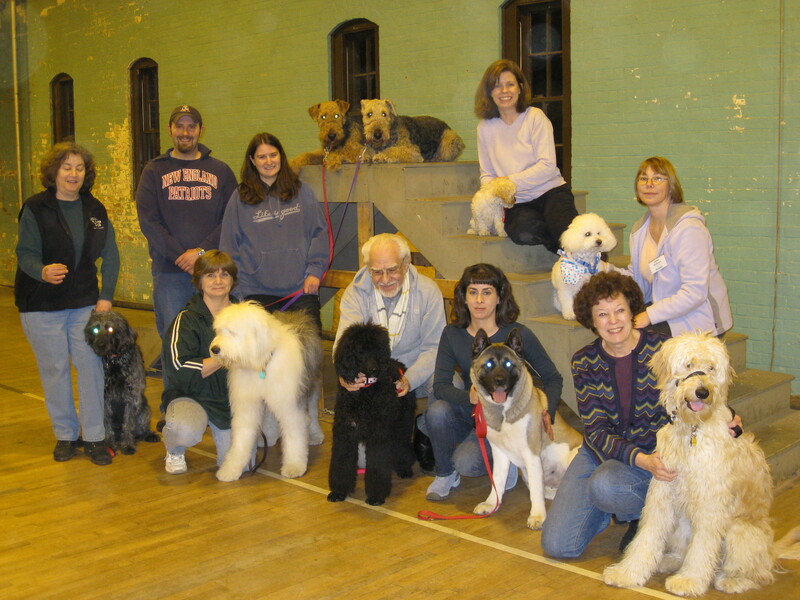 Students from a winter Obedience class. 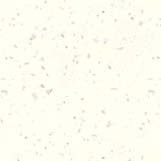 If you have any question about class being held due to poor weather on a particular night, please wait until 4:00 PM and then call us at 978-779-6054. If we decide to postpone class prior to that time we will call you. Please be sure we have the correct number to reach you during the day! We offer a variety of special programs throughout the year including Canine Good Citizen tests (we are approved as evaluators for this test by the American Kennel Club), agility and obedience run-thrus, workshops on tricks training and more. We can also provide these events for your organization. For example, in the past we have judged 4-H kids in Westford, Massachusetts in obedience, agility and fitting & showmanship. 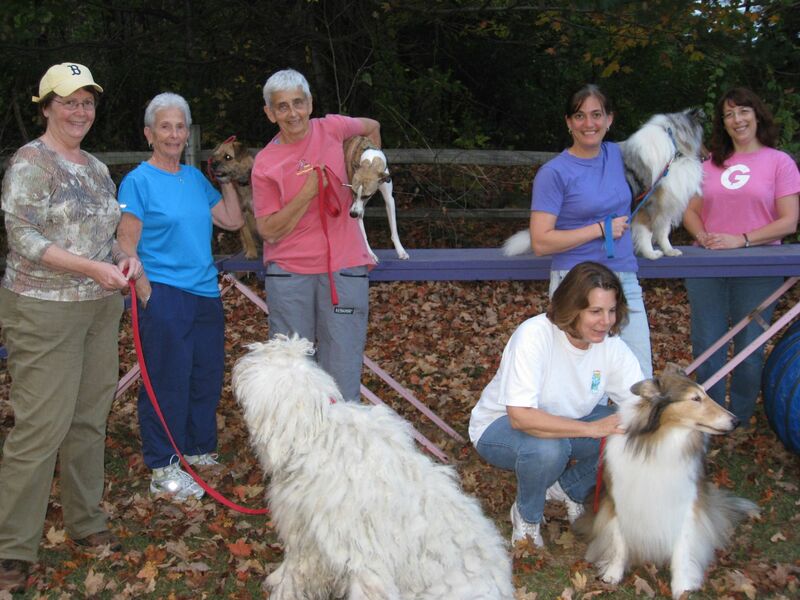 We have helped a local 4-H group with Canine Good Citizen training and therapy work. A local Girl Scout group came to us for some training to be used towards one of their goals. We have taught dog safety programs for elementary school kids. We have worked on the American Kennel Club's National Agility Championships committee (Luis was equipment chairman, Tina was Chief Steward). What can we do for you?! We also welcome the opportunity to participate in community events. 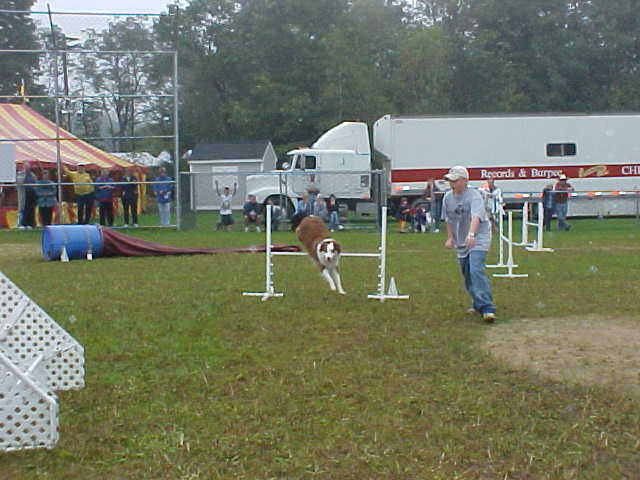 For several years we gave a number of agility demonstrations each day at the Bolton Fair in Bolton, Massachusetts. We have also taken part in the HudsonFest in Hudson, Massachusetts and numerous other, similar events. Tucker and Ruby at the Bolton Fair.